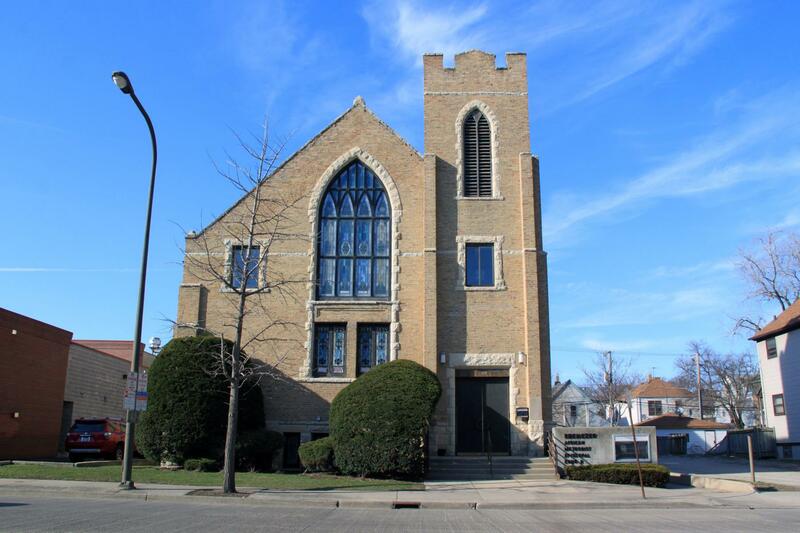 Criteria: H1: Exemplify the cultural, political, economic, or social heritage of Evanston; A5: Exemplify the work of a nationally or internationally known architect, or major local architect or master builder. Details: Pointed arch openings, stonework, castellated parapet. Date source: Inscribed on facade. 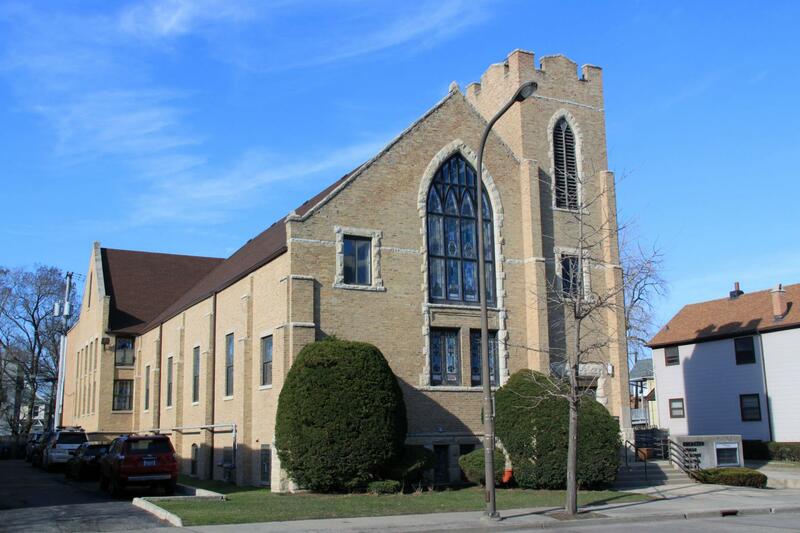 Historic Features: Corner turret, pointed arch openings, stained glass. Alterations: Some window replacements, rear addition. Other Permit Information: 1917 Ebenezer AME Church gave permission to Mr Proli to errect a building for blacksmith purposes on the back of the lot. 1925: Bldg Permit #14568: Owner Rev WW Lucas (for church): Frame & Stucco 1-car garage 12x18x12 1929: Bldg Permit #19051 to improve 1.5 story frame and stucco house (rear porch addition) Architect: Midwestern Construction 1934: Bldg Permit #20881 to build frame 1-car garage 12x20x12 1942: Building Permit #23935 Concrete Coal Shed 1973: Bldg Permit 40868: Chain link fence 1974: Bldg Permit 41739 DEMOLISHED 1.5 story single family dwelling 1981:Bldg Permit 64944 EAM listed as owner. Rehab to fire damage. Architect: Wendell Campbell. COA Info: 09PRES-0201: Tear off old rfing material (asph shingles) on main rf of church, replace with new asph shingles GAF Elk 30 Timberline to match the existing shingles, on flat rf section at rear re-roof with GAF ruberoid membrane modified bitumen, replace all gutters and downspouts in kind; 08PRES-0168: Replace back flat section of rf, removing built up rf and install new in kind.